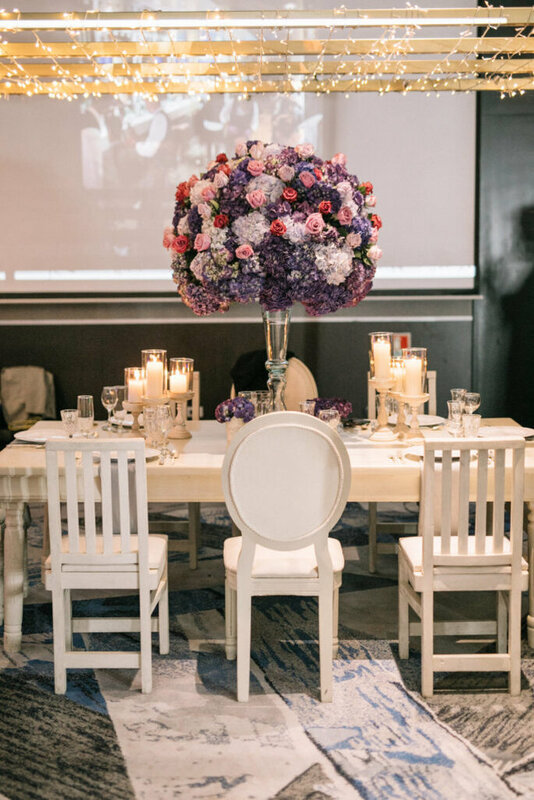 Zankyou always aims to provide the best services to help couples avoid the chaos that often comes with organizing a wedding. 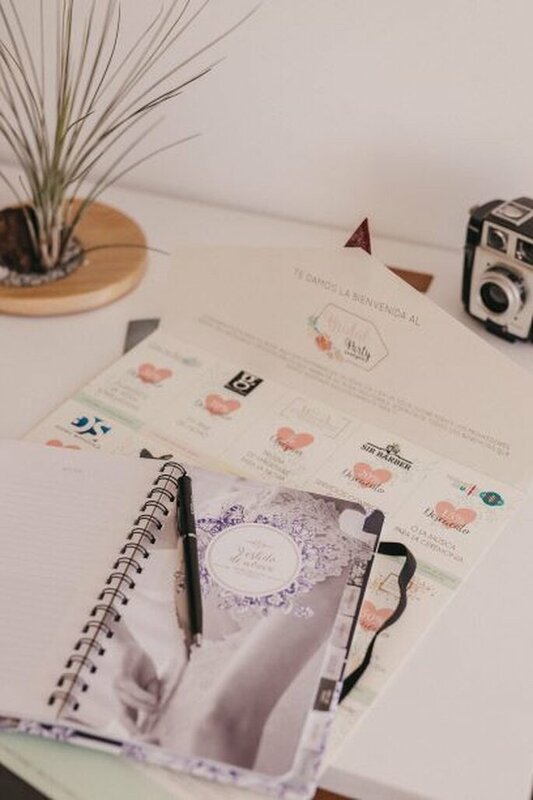 We have found that enjoying the planning process is totally possible, and even more so if brides-to-be share the experience with other brides. 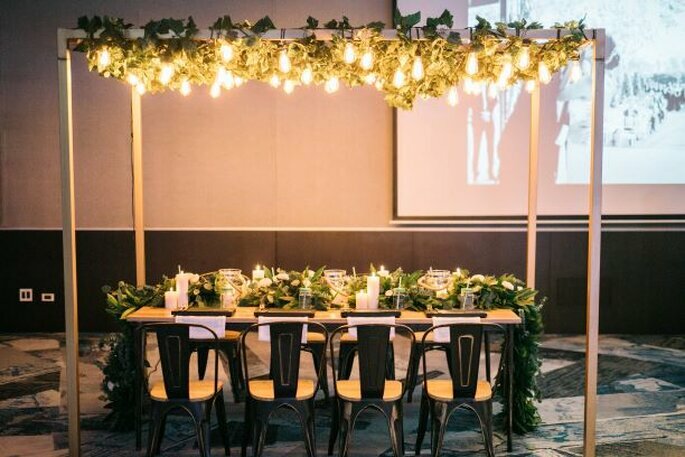 Because of this, at Zankyou we created Bridal Party, a special event designed to be both fun and useful for couples organising their wedding. 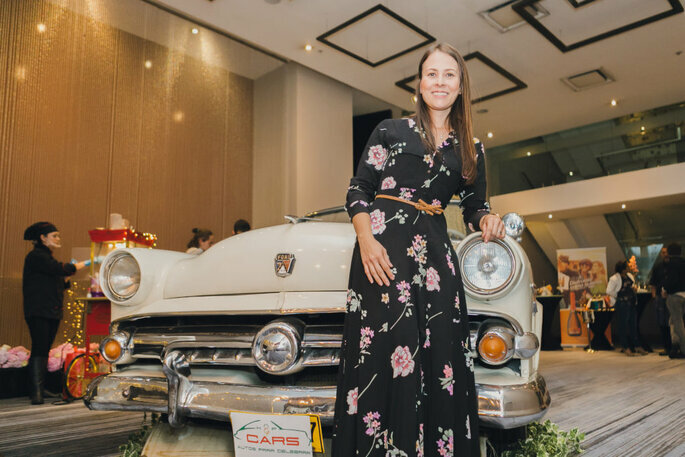 Last week, Zankyou Colombia held its first bridal party and what a roaring success it was, with brides and providers alike giving their positive feedback. So what makes this event unique? 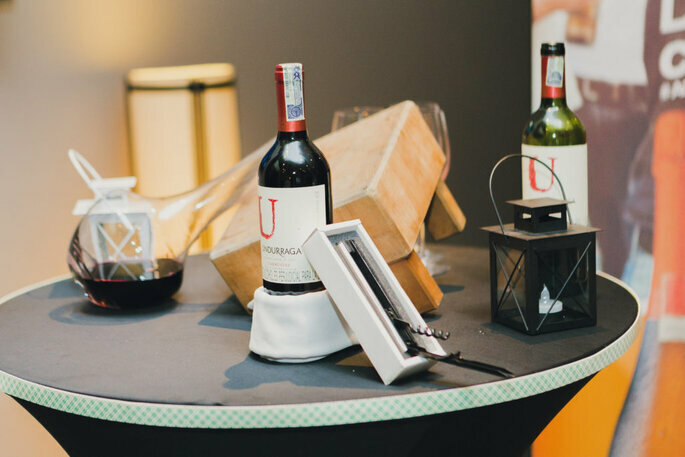 Well, a group of brides and grooms are invited to the Bridal Party where they are immersed in the work of the best providers in the city. 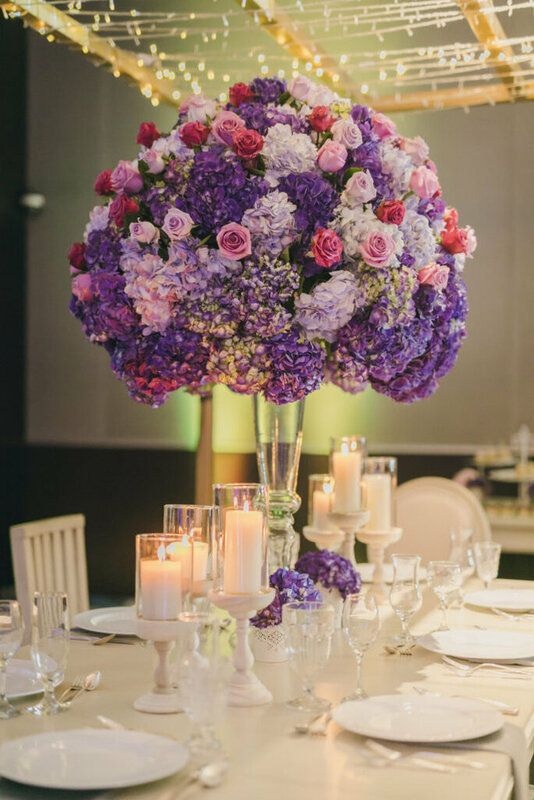 The loaction of this Zankyou Bridal Party was in the Hilton Bogotá; their wide-ranging facilities allow couples to choose their preferred venue style. 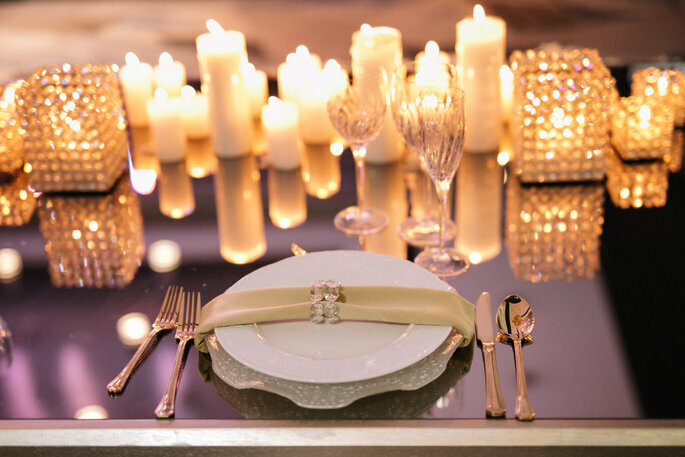 In this event we used 2 of the 7 spaces dedicated to holding weddings. 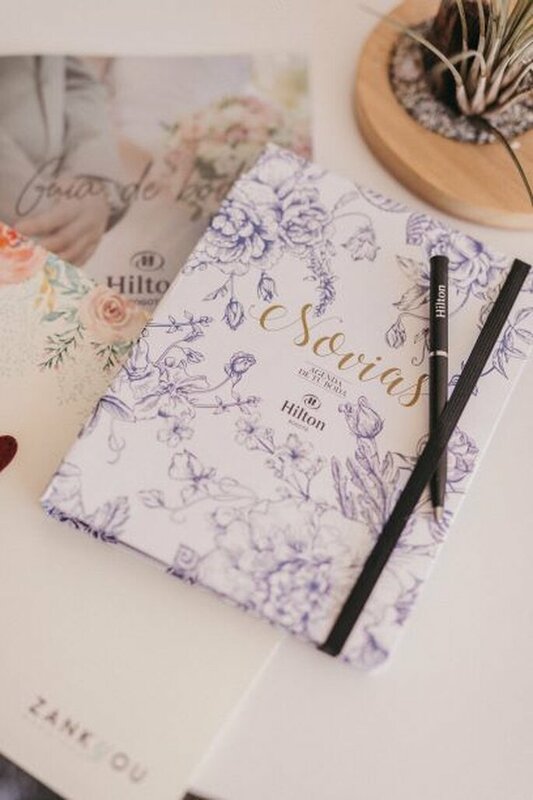 When entering the hotel, the guests were welcomed with two special gifts to start their morniing: A beautiful wedding planning journal from the Hilton Bogotá and a set of gift vouchers, filled with suprises and discounts from the providers at the event. Next, they were directed to the Levels Bar, a light and fesh space where they were given mimosas and a gin tasting session. 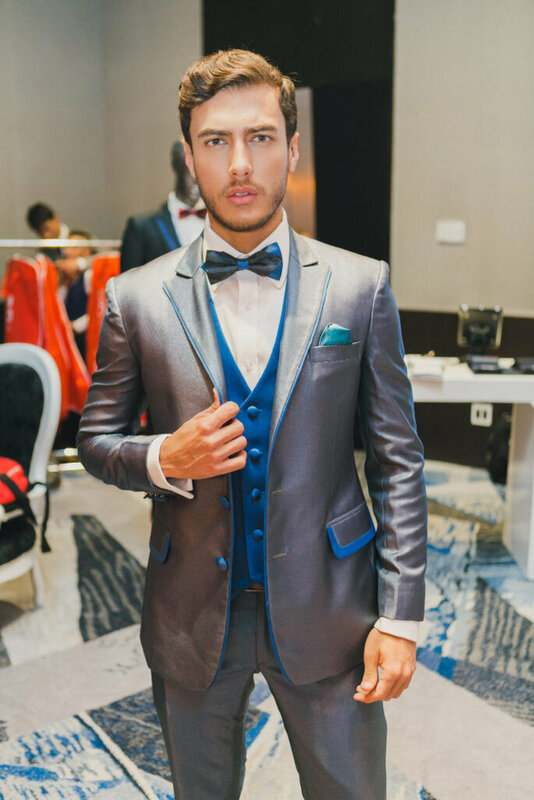 This space was dedicated to the men because, although we often think of the brides as the stars, the grooms are just as impotant on the on the big day and so deserve to be pampered too. 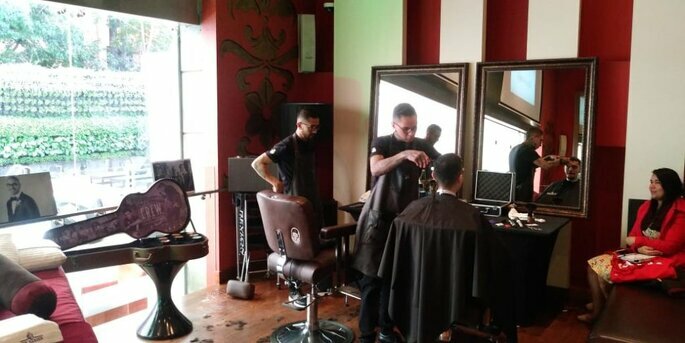 Sir Barber was in charge of giving this space a masculine touch with his barber services and spa treatments. 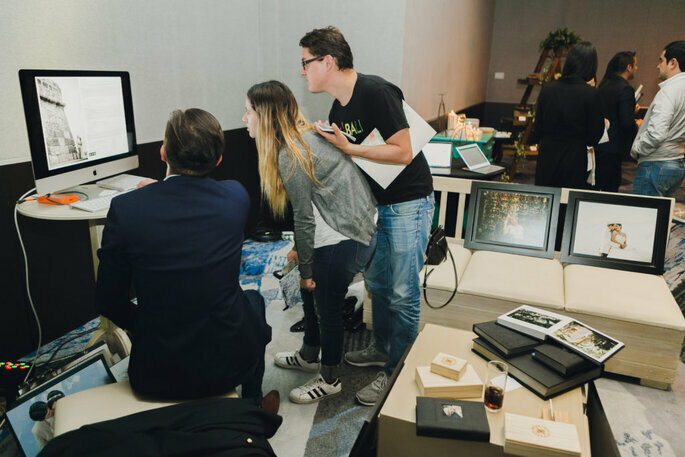 The next stop was just before entering the Platinum ballroom with a cinema area for guests, where they were given popcorn whilst they watched a wedding video created by Love Videography. All this was enjoyed whilst being seated in a 1954 white Ford convertible, an iconic and traditional car offered by K&P Cars. 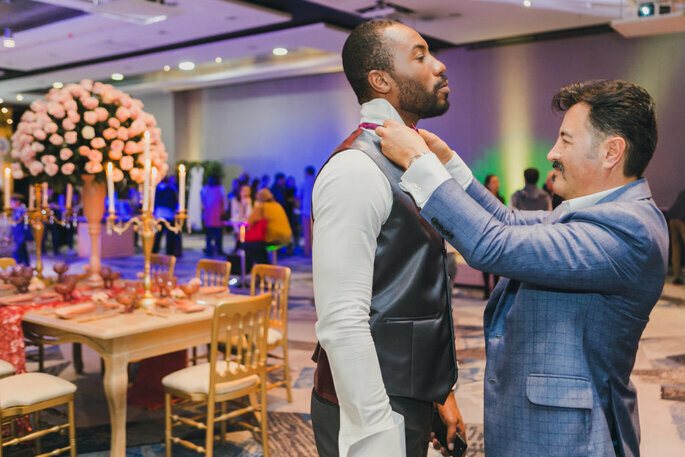 Then, when they entered the Platinum Ballroom, our guests met the remaining providers who were ready to help them and advise them on all their wedding preparations. The first being Luxury. 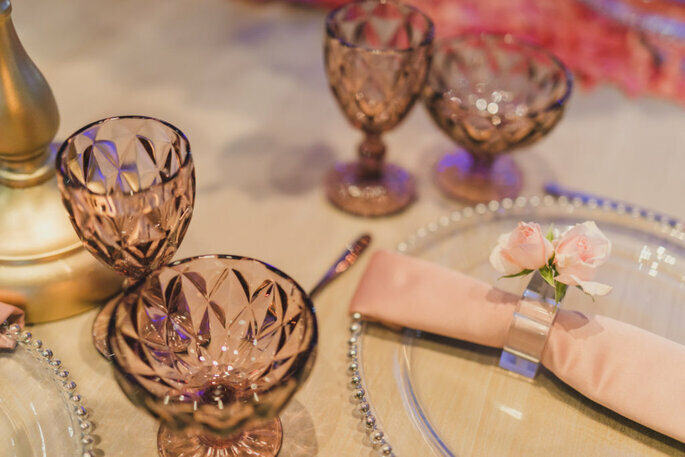 A romantic style, sea of crystals, with an abundance of flowers in soft tones, paying special attention to the details like the golden cutlery, italian glasses and the plates. 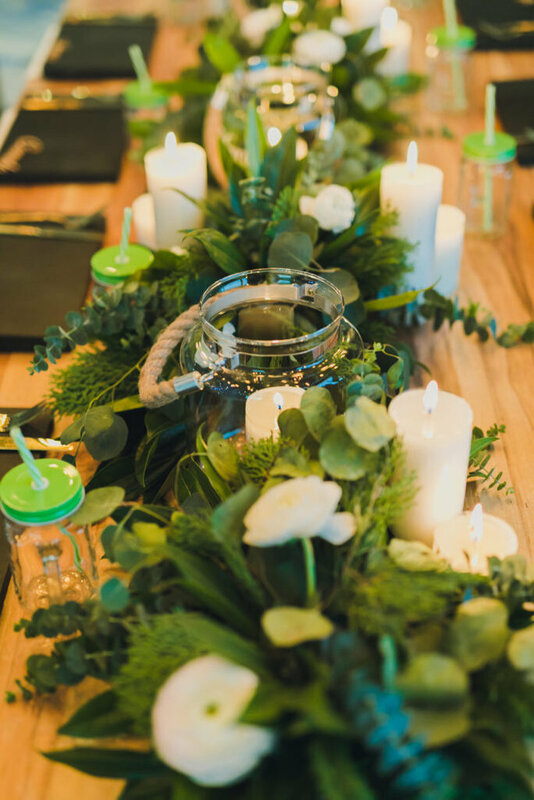 Then guests were presented with Greenery: An uncomplicated, young and fresh style. Industrial and organic materials to give it a very fresh touch, mixing natural foliage and peonies for a romatintic note. The third style was Shabby Chic: A fresh style that combines vintage and a feel of the Golden Age. 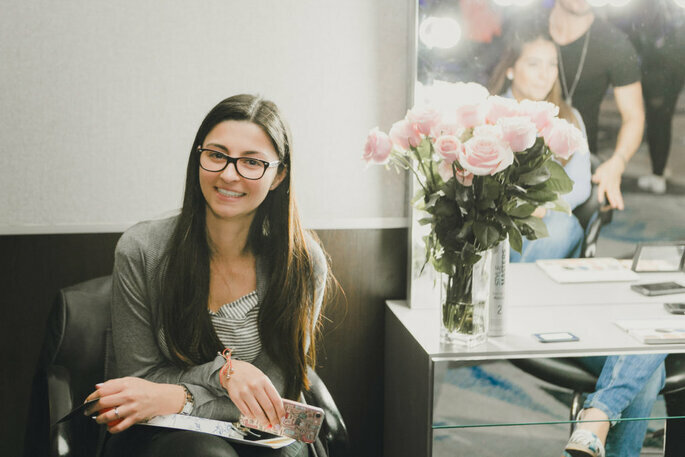 Then finally couples could explore Rose Gold: A chic style with a color palette based on the very romantic and feminine rose gold. 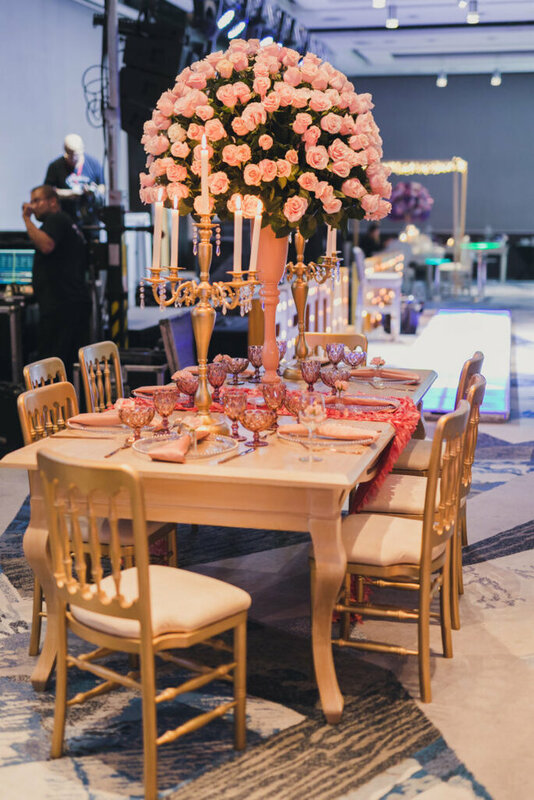 The food was provided courtesy of the hotel, delicious canapes and petits fours were adapted to the style of each set of decor, accompanied by wines and champagnes from La Casa Domeqc. 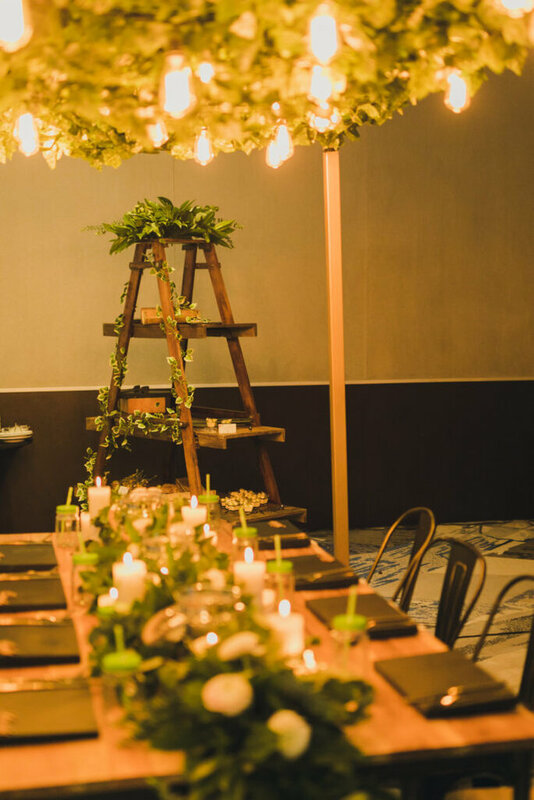 Paperie Bakery, who also helped with the event gift vouchers, advised the couples on everything concerning the design and the creation of meaningful details for the wedding, giving advice on invitations, table features and food. 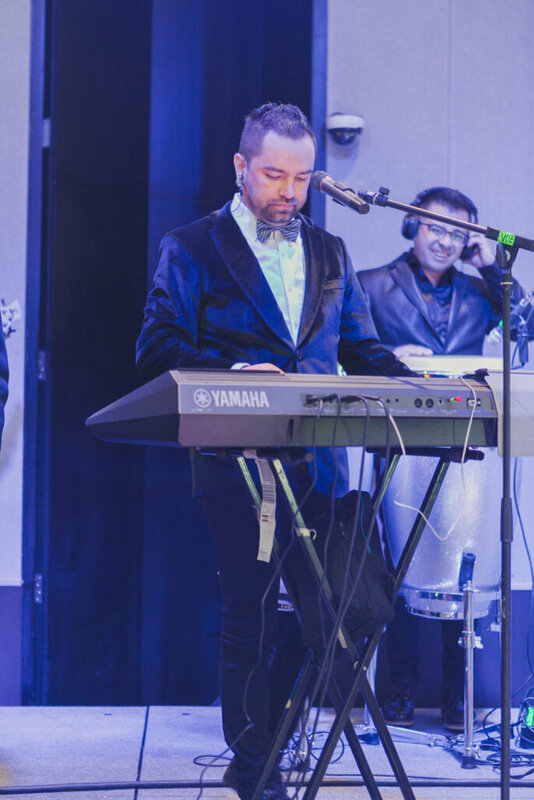 The music was supplied by Valentin Music, a crossover band that gave us a taste of different musical moments throughout a wedding. 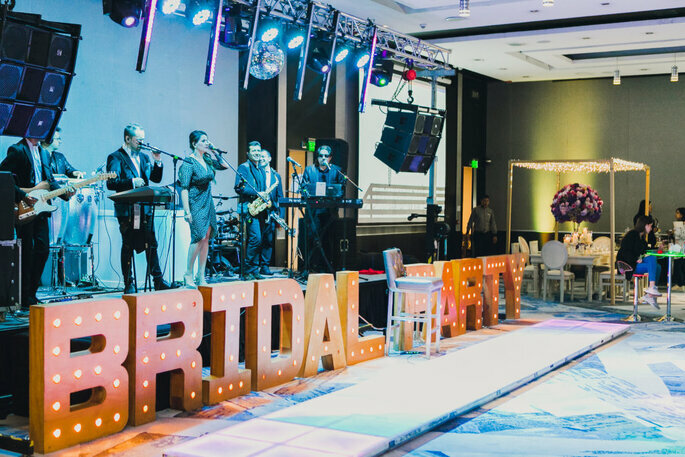 Their touch of elegance and distinctive stage, with a concert-like montage, took us from the most traditional and formal parts of a weddding, to those moments of dance with modern genres that truly get the party started. 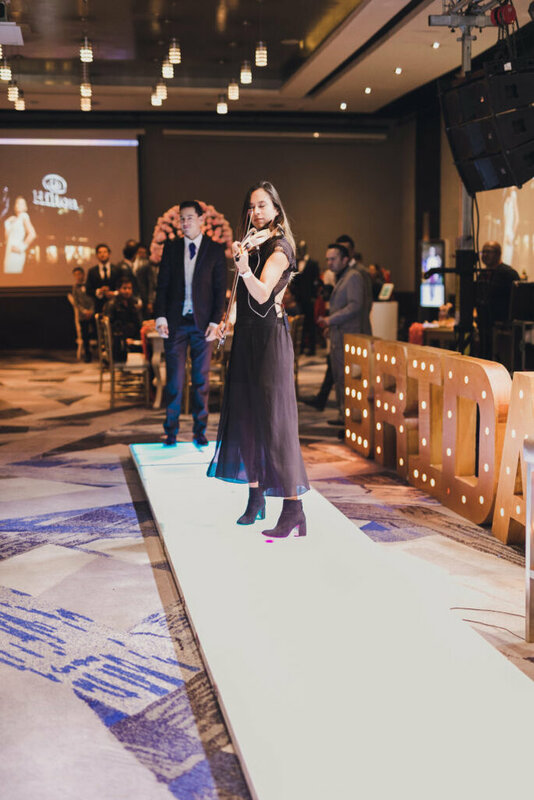 We also relied on the presence of Dj Diego Sánchez who surprised guests with his smoke machine, perfect for the first dance on the evening of a couple’s big day. 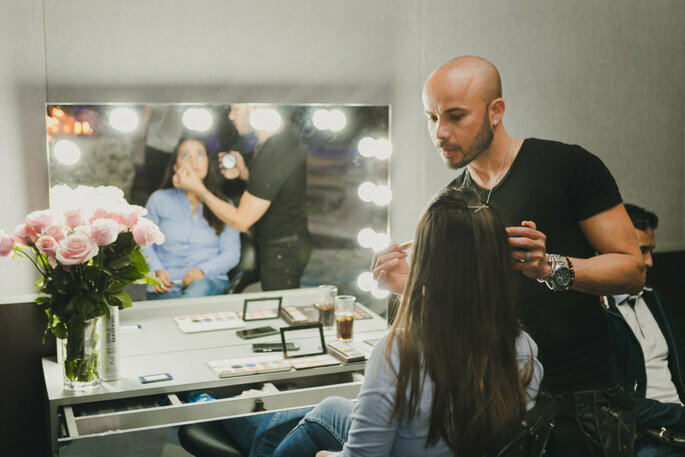 Wilson Herrera, Professional Wedding Makeup Artist, was in charge of the brides, who were able to have their questions and doubtrs answered over hairstyles and makeup for the weddiing day. 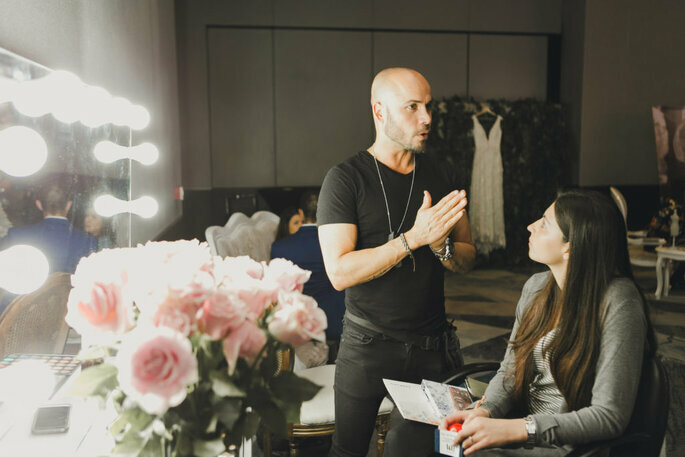 He shared his knowledge with his visitors into how to bring out the unique beauty of each bride. 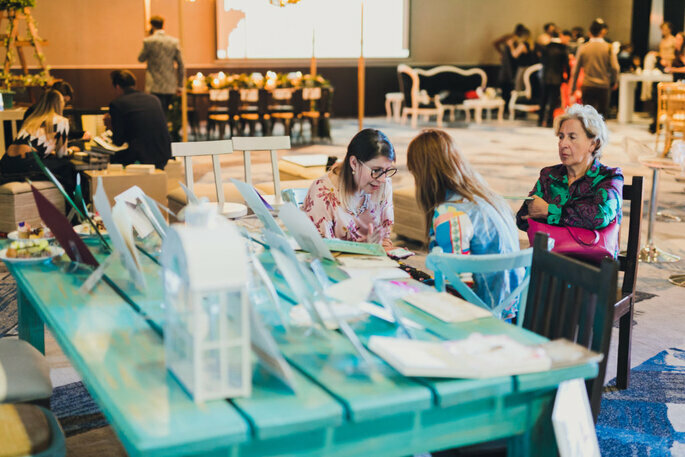 In addition to capturing the images of this Bridal Party event, Diástole y sístole were there to show their work to the Bridal Party invitees. Their photography mission? To un-freeze the story of the image so that its essence runs into the future, to allow couples to relive the smells, words, smiles, gestures and sensations from that very instant. 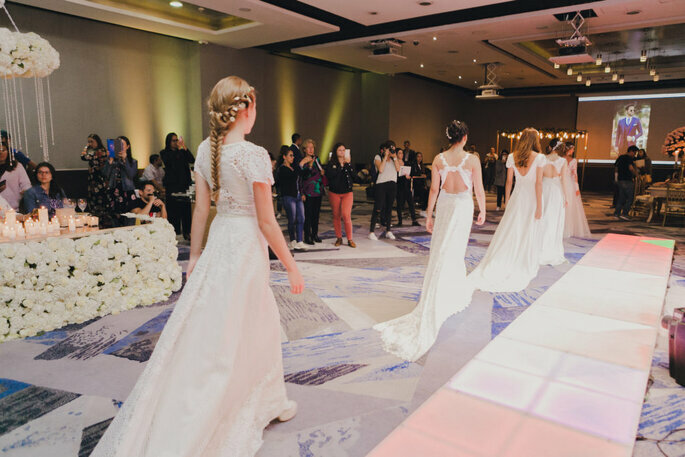 The bridal gowns and groom suits are very important factors at a wedding, hence the close of the event was dedicated to a haute couture catwalk, showcasing designers Giovanni López & Catalina Bayona. 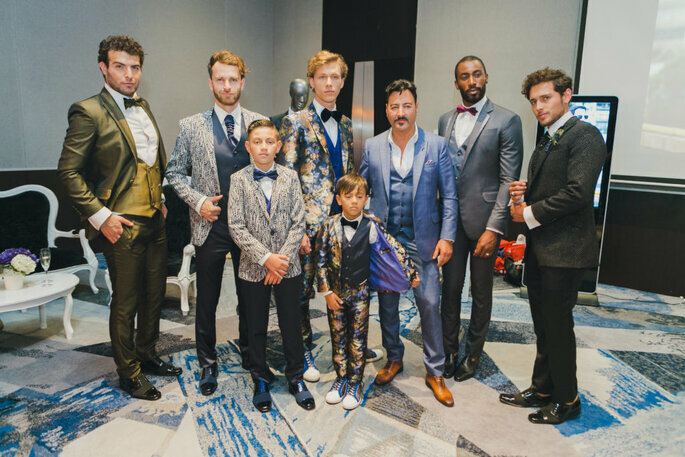 Giovanni showed us his most recent collection “RAME”, inspired by contemporary grooms, offering a plethora of blues and greys, also introducing geometric and floral prints, in addition to shades of tan. 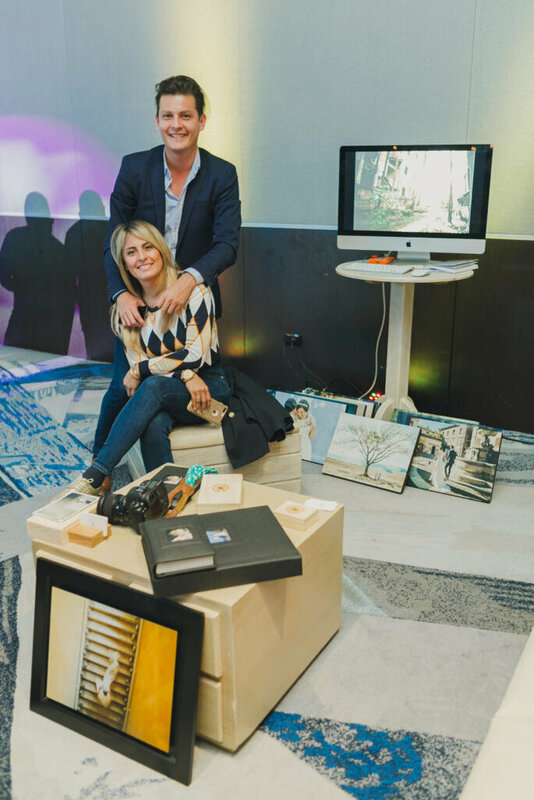 Catalina presented her “BOHEMIA” collection, inspired by looks from the 70s; a decade where art, peace, love and freedom were protagonists. 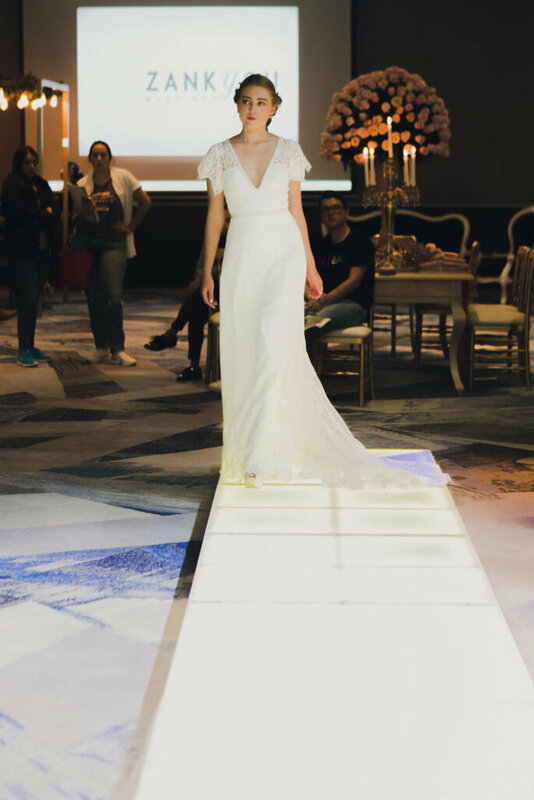 Her style, elegant and feminine design: Lace, embroidery and handmade details, which also demonstrated the uniqueness of each piece in the collection. So that sums up our first Bridal Party in Colombia! 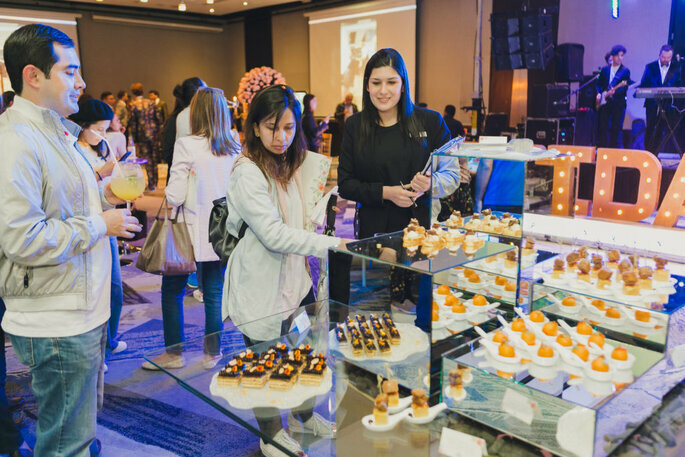 If you want the opportunity to partipate in these types of Zankyou events or want more information on how to promote your business with Zankyou, then get in contact here! We look forward to hearing from you.